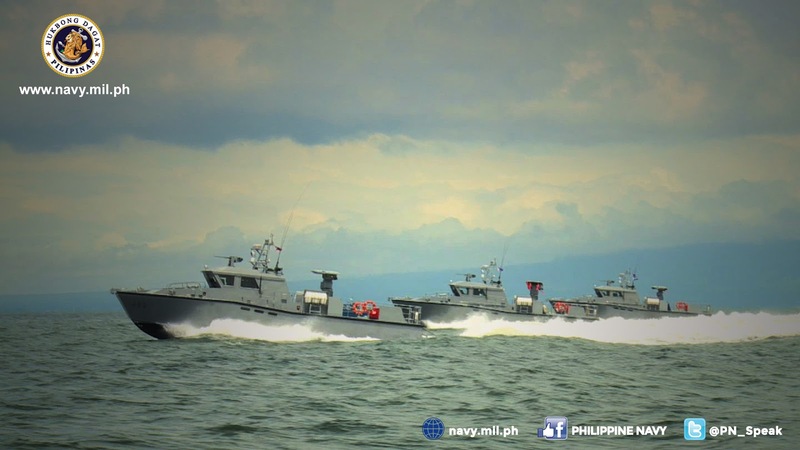 The Philippine Coast Guard (PCG) commissions two new Multi-Role Response Vessels (MRRV), to be used primarily for disaster response, seas' oil pollution control and marine environment protection. 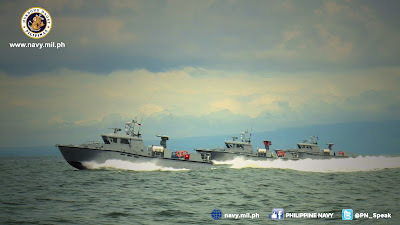 The BRP Bagacay and Cape Engaño have features such as fire monitors, night vision camera, radio direction finder, work boat and a bullet-proof navigational bridge. The MRRVs have a standard cruising speed of 25 knots, and a range of 1,500 nautical miles. Under the project terms, the MRRVs will be the primary rescue vessels within the PCG district’s area of responsibility (AOR) when the extent of the disaster is beyond the capability of floating assets deployed within the area; provision of assistance in the control of oil pollution and protection of the marine environment; enforcement of all applicable maritime laws within the designated AOR, particularly relating to illegal fishing and sea patrol; service as platform for rapid response during relief operations in the area; and transportation of personnel and logistical support. BRP Bagacay under the helm of Commander Joel M Simo-ag PCG and BRP Cape Engaño under Commander Dennis Rem C Labay PCG as its Commanding Officers, were built by the Japan Marine United (JMU) Corporation in Yokohama, Japan. The vessels were named after Lighthouse Bagacay in Liloan, Cebu and Lighthouse Cape Engaño in Palaui Island, Santa Ana, Cagayan respectively. The Philippine Navy conducted a successful testing of its new missile system mounted on the navy's Multi-Purpose Attack Craft or MPAC MKIII. The Spike ER missile accurately hit it's designated target 6 kilometer away under moderately rough waves while moving. The tests conducted in Bataan included sea acceptance tests (SAT) for the Mini Typhoon Machine Gun Systems and the Spike-Extended Range Missile Launching System of Rafael Advance Defense System from Israel. The Technical Inspection and Acceptance Committee of the Department of National Defense oversaw the test firing activity. DND has scheduled another live firing demonstration to be attended by President Rodrigo Roa Duterte. The Philippine Airforce acquired ScanEagle unmanned aerial system from United States of America. Earlier today, the new 6 military drones was formally turned over to the Philippines in the presence of US Ambassador to the Philippines Sung Kim. 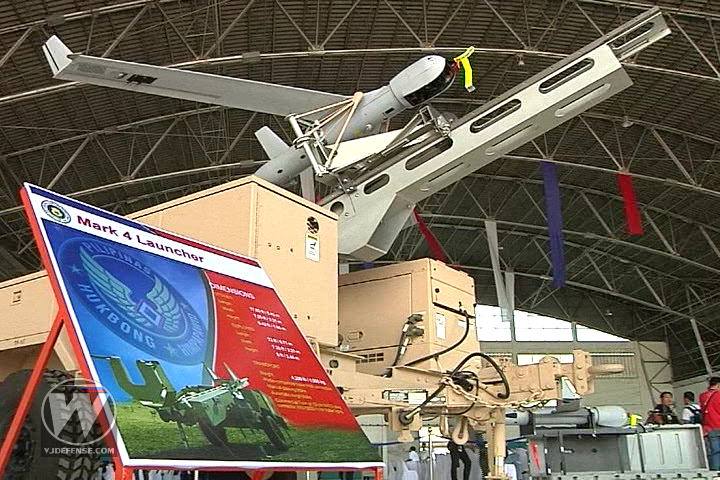 Defense secretary Delfin Lorenzana said that the ScanEagle drones will be used in the troops internal security operations, counter-terrorism and maritime patrol. He also said that, this acquisition of ScanEagle is one way to modernize the military to deter those who want to wage war against our country. Lorenzana adds that the drones will also be utilized to improve the government’s response before and after typhoons and other natural disasters particularly in estimating the areas damaged by calamities or even locations of victims and survivors. They can also help authorities to curb illegal logging and illegal fishing activities through aerial surveys. The two officials believes that the drones represent the strenght of the Philippines and US partnership in terms of defense capability enhancement. “We profoundly desire to maintain our strong connection and camaraderie with the United States as well as to expand common interest and handle differences with understanding and respect.” said the secretary. US ambassador Sung Kim states that these assets would be very useful in improving AFP’s capability to detect terrorist activities, piracy and territorial encroachment. The units, which come as part of one system, are equipped with two cameras and can stay in the air for maximum of 24 hours. The six drones were financed through a $13.7 million grant from the US's foreign military assistance program.